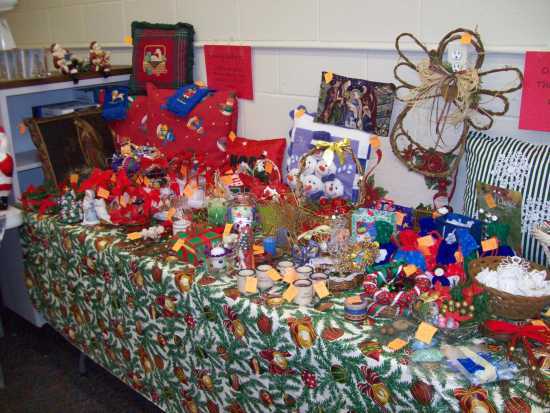 Some crafts that were for sale last year. Come to Safe House for Women's 3rd Anniversary Craft Fair and Bake Sale November 14 at Grace United Methodist Church, 521 Caruthers St. from 8 a.m. -- noon. There will be lots of holiday crafts and baked goods on hand for you to purchase and enjoy. If you would like to help Safe House donations of craft and baked goods will be accepted November 13 from 8 a.m. -- 4 p.m. at the Safe House for Women outreach office, 1810 E. Plaza Way.